Update: Metro Exodus’s release date has been (once again) fixed: February 22, 2019. The news comes via a press release just as a new gameplay trailer was shown at Microsoft’s E3 2018 conference. The new footage shows protagonist Artyom “and our band of SPartans” as they smash into the Volga region of Russia during the spring. Local threats include dangerous bandits, a crazy religious cult, and a range of vicious mutants. Exodus is something of a new direction for the Metro series – its levels are more expansive and less linear than in previous entries – but the new footage should help to win over any sceptics. Running in 4K and showing the Volga region in its snowbound beauty, it is honestly pretty impressive stuff. Entertain your cordite-huffing habit while you wait for Metro with the best FPS games on PC. Metro Exodus is set in 2036, a quarter-century after the Earth was devastated by nuclear war in Metro’s cheerful fiction. In keeping with the ‘Exodus’ bit of its title, the survivors that have heretofore sheltered in the metro tunnels of Moscow are driven out of hiding in search of a new life in the East. That epic, transcontinental journey will introduce open world, sandbox levels and survival mechanics to the series, tracking Artyom and the Spartans through an entire year of changing seasons. Catch up on all the news: here’s everything we know about Metro Exodus. There was no further explanation of the delay, but the rest of the announcement reports some pretty bullish results for THQ Nordic, including an increase in net sales of 673%. That stupendous figure is thanks largely to the purchase of Koch Media, which was consolidated in February this year, just in time for the successful launch of Kingdom Come: Deliverance. Based on a series of novels by Dmitry Glukhovsky, the Metro games are a grim series of shooters with stealth and survival elements, largely set in Russia’s underground rail system after a nuclear apocalypse. It’s jolly stuff. 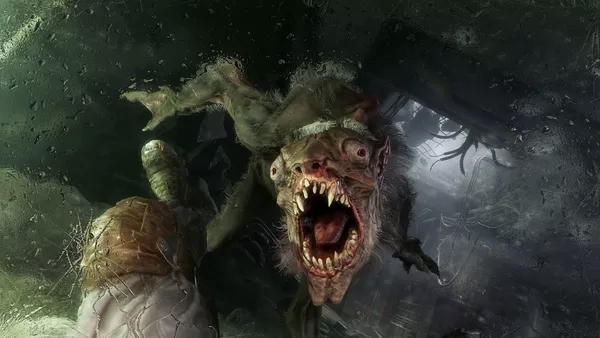 The excellent last instalment, Metro: Last Light, is on Steam now for a very reasonable £14.99 ($19.99), or read up on everything we know so far about Metro Exodus.